Ben Davenport: My name’s Ben Davenport. I live in Palo Alto, California, and currently work as a software engineer for Facebook. I’ve been working in software engineering in one form or another for the past 16 years, including stints at Microsoft and Google. Most recently, I co-founded a mobile messaging startup called Beluga, which ended up getting acquired by Facebook and turning into Facebook Messenger. 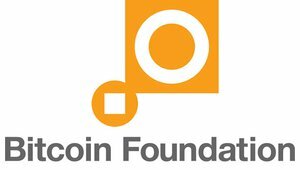 I think the Foundation is playing a very important role at a time that’s somewhat of an inflection point for Bitcoin, which is why I think it’s important we have a strong board. That’s primarily what motivated me to run. I’m pretty well connected to the Bitcoin community in Silicon Valley and I want to help represent that community on the Foundation board, as well as all Foundation members. I think at the current time, Bitcoin-based businesses are the most clear constituents in need of an organization like the Foundation, because it’s the businesses that are in the crosshairs of government regulators in the US and elsewhere. If Bitcoin businesses can operate and grow successfully, then individual Bitcoin users will benefit right along side them. BD: When the Bitcoin Foundation first started up, it wasn’t really clear whether it was going to be something important or not. There was a lot of debate on that. I think over the last 6 months, that has really been clarified. First, it’s clear that something like the Bitcoin Foundation is necessary to achieve anything close to an optimal outcome with respect to government regulation. Second, I think it’s become increasingly apparent that the Foundation has actually been doing a pretty good job at that intended mission. I want to help continue that work, while helping grow the Foundation’s membership and influence. Now, the Foundation is technically structured as a trade organization. It represents companies who operate in the space, as well as individual users of the currency. But I think one way to view Bitcoin is as a massively distributed open source startup itself. Owning BTC can be thought of as owning non-dilutable equity in that startup, and by proxy, owning a stake in the success of all startups who decide to do business with us by using BTC or building on the protocol. I think if you think of it like that, then the Foundation is really just like the PR, legal and lobbying departments of that startup (with a little bit of marketing and R&D spending thrown in). In this startup, those departments are actually really really important, because our competitors, while technically inferior, are extremely well entrenched and politically connected. As I mentioned previously on my candidate thread, I think the primary mission of the Foundation ought to be to serve as a defender for Bitcoin while it is still in its infancy. And if we do our job successfully, Bitcoin can ultimately become too big to fail (in the good sense). BD: I spoke already a bit about my technical and entrepreneurial background. When it comes to Bitcoin itself, I think what I bring to the table are a deep understanding of Bitcoin from both a monetary and a technical perspective, as well as significant social capital in terms of connections to people in the Bitcoin entrepreneurial and venture capital communities. I’ve followed Bitcoin very closely since mid-2011, so I have a pretty good knowledge of the important history as well. I think I also bring a fairly balanced and pragmatic approach. While I’m a libertarian, I recognize we live in a world full of powerful actors called governments. Ignoring the angry junkyard dog because you don’t recognize his moral authority over you isn’t generally a winning strategy. BD: Much like eating a Reese’s, there is no wrong way to use a Bitcoin. If you try to use it in any “wrong” way, the transaction simply won’t validate, and it will never appear in the blockchain. And if it isn’t in the blockchain, the Bitcoin wasn’t really used, was it? Of course, this only applies to Bitcoin you rightfully own stealing is wrong. As an aside for a moment: Bitcoin’s history is littered with major thefts, but I think it’s great that it’s starting to be increasingly understood that it’s not so easy to steal large amounts of bitcoin and actually do anything profitable with them. They can be tracked until the end of time. Just to expand a little, here are a few of the many right ways to use Bitcoin: saving it, spending it, buying it, selling it, investing it, wagering it, and yes, of course, speculating on it. BD: I think Bitcoin software development is special in some really important ways. For instance, normally, when you have an open protocol, it’s typically always a good thing to have a variety of implementations competing with one another, and you want to avoid a monoculture, where a bad bug can take down the whole network. Well, obviously we have to carefully avoid bad bugs like that too, but in the case of Bitcoin, one of the worst problems is a fork in the chain due to inconsistencies in implementations or subtle bugs. We saw this earlier this year with the 1.7/1.8 fork, just in the reference Bitcoin client. It’s particularly important that miners be running a somewhat consistent code base to avoid such situations. So, in the case of Bitcoin, the lesson may be more to put all your eggs in one basket, but watch that basket very very carefully. And be doubly careful when you upgrade your basket! That said, I think it’s great that there are starting to be a number of other completely independent full node implementations out there. In general, I think we all want Bitcoin development to happen faster. But at the same time, we have to balance speed with correctness. We’re playing with real money here a billion and a half dollars equivalent, and that becomes more and more over time (generally). I think Gavin and the other core developers are doing a great job managing the project. And I hope over time the growing stature and importance of the project will continue to attract even more rock star contributors which will help us accomplish more, faster. One of the nice things is there are a ton of ways that development that doesn’t impact the protocol can happen completely independently of the core client development. Wallets, other full node implementations, additional protocols that ride on top of Bitcoin, and so forth. BD: I think actively reaching out and talking to the entrepreneurs and companies who are active in the space is really important in understanding what the Foundation ought to be focusing on. I already have personal connections to many entrepreneurs in the space, for instance, Brian at Coinbase, Tony at BitPay, Charlie at BitInstant, Jered at Tradehill, Jaron at Coinsetter as well as a number of other companies, including earlier-stage exchanges, wallets and other types of businesses. As a board member, I plan to continue my efforts to make personal connections with other entrepreneurs, venture capitalists, and members of the community. I plan to regularly touch base with these people to understand what sort of issues they’re encountering where the Foundation can be of help. As far as diversity of opinion, there’s clearly a wide spectrum of views within the Bitcoin Foundation. But there’s also a lot of common ground we likely agree on ultimately we all want what’s best for Bitcoin. On issues where I don’t have a strong opinion from the outset, I would try to keep an open mind when talking to different members of the community to learn about all the factors involved. I’d try to get a sense for what the range of opinions is, and if my opinion ended up being far off on one side or the other, I’d want to examine that pretty closely. LTB: Should the Foundation hire a lobbyist? If yes, why and where should they lobby (D.C., NY, CA, London, Berlin, etc)? BD: Yes, I think almost certainly. The Foundation isn’t really a central point of control for Bitcoin, but one of its main purposes is to be a central point of influence and education in the political sphere. Hiring one or more lobbyists is an important step in that direction. Of course the information flows two ways in lobbying, and I think right now, listening and understanding how governments are starting to grapple with Bitcoin is as important as doing the talking, and will ultimately help shape the message we bring back to politicians and regulators. That said, I think we have to make sure we hire the right lobbyists, and that we develop a coherent plan to get the most bang for our buck in terms of our lobbying efforts. We don’t have anywhere close to the same resources the big banks do (YET! ), so I think we really need to focus on where we can have the largest ROI. Right now, of course, the focus is on D.C. and the states, because the US is an extremely important market, with many Bitcoin startups currently. But I think it is probably equally important to have someone focusing on what’s going on in the EU. BD: I would increase its membership 100x, and find a way to scale its efforts internationally in an effective way.